Isn’t it amazing how suddenly the mood has changed, the band has altered its tune, and the ferrets of Wapping have been reversed? There is a technical term in the newspaper business for the moment when a newspaper, having reported an event with great conviction one week, says the opposite the following week with equal conviction. It is called a “reverse ferret”. Enough is now enough. If this Parliament is not to begin its work on its knees, it is time to draw a line under the expenses scandal. Except in an earlier clear case of criminality or fraud, MPs’ conduct should now be judged under the new expenses regime that has been put in place. The rest is nearly as nauseating. H.E.Bates invented Pop Larkin, though his construct’s catch-phrase is now better remembered for David Jason (and, inevitably, Catherine Zeta-Jones) in the TV adaptations. Malcolm was able to observe the darling buds of late May over the last couple of days. The Pert Young Piece was due to fling herself (or, more likely, be flung) out of a perfectly good aircraft, two-and-a-half miles above the ominously-named Hinton-in-the-Hedges. This is where north Oxfordshire bumps up against Northamptonshire, so where better than to have an overnighter? That meant it was possible to stop off, in each direction, in and around Oxford. Inevitably, drink was taken and books were bought. Oxford on Saturday was quite chilly, so a swift resort had to be found. Any pub in the centre of town, particularly in the summer, is a tourist trap. 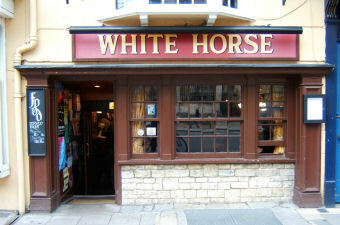 The White Horse, in the Broad, immediately opposite the Sheldonian, is ex ceptional only in so far as tourists are more prolific here than even the average. Since it is a regular for film and TV locations, that only makes things worse. Fortunately, the Hobbit lot seem to have moved on. However, the beer is good (Brakspeare‘s and Wayland Smithy), the catering is more than competent, and it’s slap-next-door to Blackwells, arguably one of the finest book-shops in Britain. All-in-all, a no-brainer. 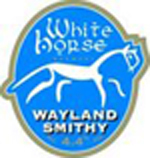 Malcolm reckons that the Wayland Smithy is a decent beer: 4.4% alcohol by content, and a bit of an acquired taste. It’s a trifle too aromatic and spicy to be just a quaffing ale. It comes out of the White Horse brewery (no relation, apparently) in Stanford-in-the Vale, which sounds, and is meant to sound, all convincingly rustic: it is in fact set in a modern business park. So, on this occasion, he stayed with the Brakspeare’s. Then onwards (through by now driving rain) to small-town Northamptonshire. This is close enough to the race track at Silverstone for anywhere to come with a Formula One headquarters attached. Inevitably, pubs and hotels are lined with photographs and memorabilia of Grand Prix history. Malcolm’s has no interest in such noisy and non-ecological boyish diversions, and is happy to be whisked between watering-holes, driven expertly by the Lady in his Life. Malcolm has a taste for the Hook Norton brewery‘s productions. On Friday a fit of depression had driven him to his local Weatherspoon’s house, where he found Hooky Dark on tap. One of the revelations of recent months, greatly helped by a campaign by CAMRA, is the revived interest in dark beers (what was generically known as “Mild” in Malcolm’s younger days). On the whole, unlike continental practice, these are light on alcohol (Hooky Dark is around 3.3%), and sweet on the tongue. For a lunchtime session, not a bad combination. So Saturday evening was Old Hooky night. And very nice, too. What the contingent from Redfellow Hovel were there for was early Sunday morning. The Pert Young Piece duly rode heavenwards, and later reappeared though a cloud, to land on her feet. The grin was there for the rest of the day. The adrenaline overdose cut in an hour or so later, on the way back south. This is located just off the Oxford ring-road. It has also appeared in several TV episodes (and sports the Morse novels, in frames on the walls). It has been “improved” in recent years. Across the road there is an enormous (and well-filled) car-park. It makes no pretence about being mainly an eating-establishment. 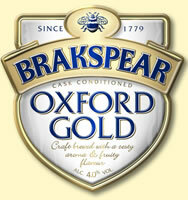 It provides the full range of drinks, including draught ales. For all those reasons, and doubtless many more, the traditionalists hate it. They just don’t get it. 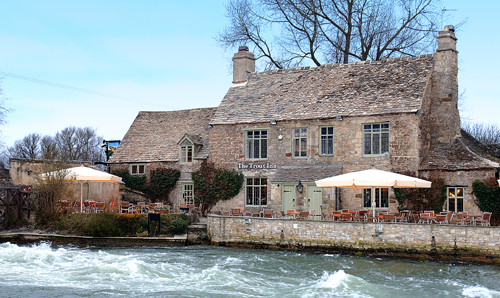 While English pubs are closing in droves, this one prospers. So think on. Anyone else, wise enough to choose a decent day (that photograph above is obviously in winter), and get there before the terrace is full, prepared to be leisurely in waiting for the kitchen to deliver, should sit back and enjoy one of the finest locations anywhere in Britain. And, no, you’re not permitted to smoke where others are eating: take your disgusting weed to the other end of the frontage. The Redfellow continent promptly were seated right on the front of the terrace, fully alongside the overspill from the canalised river. More Brakspeare’s for Malcolm. Lunch was interrupted by visits from ducks, perching themselves on the parapet, and seeking sustenance: their success shows in that they are exceedingly well-fed and plump. Vain creatures, too. It was all very, very pleasant. Perfeck. The imperative to encapsulate an argument, any argument, into the scope of a blog-entry too often obliges a poster to present matters as a harsh binary. So, either the recent British General Election (and its strange bedfellow outcome) was highly significant or … it wasn’t. (which goes with bridge and women and champagne). A second thought is that mystical concept, “swing”, the lasting legacy of David Butler and his Nuffield diaspora. Some suggest it owes less to voters floating and flitting from flower to flower than to differential turnout. For the sake of this piece, Malcolm is reluctant to shin into his attic book-stack to look out the seminal texts; so he is “going with the flow” here. Differential turnout explains the Blair hegemony, not as a great surge of popular opinion for New Labour, but as the disillusion and disaffection of a significant section of natural Tories. Since recent General Elections have failed to enthuse more than two-thirds of the registered electorate, there’s considerable scope for stay-at-homes. On one level, there is evidence that the LibDems in Parliament had long been creeping towards the Tory position. The Public Whip blog did the number-crunching, with a remarkable cluster analysis presented as an animated .gif (above). The Guido Fawkes site, as per usual, ripped it off and implied it was original and profound. The Guardian‘s Simon Rogers re-published it as far back as 20th April. That confluence might be no more than the natural experience of shared opposition; but the new ConDem package certainly hasn’t caused much dissent among the paliamentary LibDems (it’s a different matter, of course, among the dissident backbench Tories). Having so many LibDems on the government pay-roll (and others expecting the call in the course of the promised five years) must grease the wheels. On another level, it is clear that the political volte-face has caused pained grimaces among the foot-soldiers. Tories are disgruntled, which is the normal state of mind among such sort. Decent types, most publicly the estimable Nich Starling, the Norfolk Blogger, have been wrestling with their conscience. Meanwhile, in the undergrowth to the far left of the main track, something further stirs. The Labour Party reported as many as 12,000 recruits within hours of the coalition being sealed. If Redfellow Hovel is typical, circulation of the New Statesman and Tribune may also see a boost. So we next come to the acid test. Perhaps as early as this Thursday when Thirsk and Malton constituency finally gets around to its delayed voting. Only if a Eyjafjallajökull erupts in the Howardian Hills will this be anything other than a Tory walk-over. Hence the bookie’s odds: Tories 66/1 on at Ladbrooke, 3/100 at Betfair. It’s a newly-reformed constituency; but that reflects the predominant Tory positions in the two “donor” constituencies. That’s interesting in itself: on crude demography and track-record, the Tory vote was down by 2.6% and the LibDems up 6.1% from UK Polling Report’s “notional” 2005 result. A theoretic, hypothetic, conjectural 4⅓ swing: entirely fictitious, of course, but enough to demote Labour into third place. This time round, then, we should normally expect Labour to suffer further attrition from anyone-but-Tories” tactical voting. Except … that is no longer an option. Betfair have the LibDems at 107/50 and Labour at 1/10. a deep sigh among “natural” Labourites, who may suddenly feel an urge to make a mark. 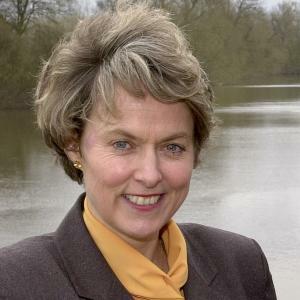 MP for the Vale of York (1997-2010) — the constituency was dissolved this time round. She was granted the Thirsk and Malton fiefdom as one of Dave’s A-listers, ahead of the former Ryedale MP, John Greenway. In itself, that left a few bruises among the Constituency Association. Worse was to come: she fell foul of the Great Expenses Kerfuffle. her husband’s telephone bill materialised on her parliamentary account. VALE of York MP Anne McIntosh has had a half a pint of beer poured over her by an irate constituent. Tory MP Ms McIntosh, was attacked by David Andrews, leader of an environmental pressure group, during Friday’s constituency surgery, which was held in a pub in Thirsk. Ms McIntosh, who is a Shadow environment minister, said: “I regret to say that there was an unfortunate incident involving a constituent which is the first time this has ever happened to me or at one of my surgeries. Added to which, she has a growing reputation for being “difficult”. As yet, she is less than loved in her new constituency. So, next Thursday, in Thirsk and Malton, it may not be quite so fine and binary. Filed under Britain, British Left, Elections, Lib Dems, Norfolk Blogger, Tories. Writer and author HENRY WILLIAMSON once lived here, his many published books include Tarka The Otter. Persons of a certain age will dimly recall, without great enthusiasm, being force-fed Tarka as a compulsory reader, even more so when the class concluded with the non-optional homework, “Now summarise that chapter”. A modern reader, in a masochistic mood, who feels moved to read more of Williamson will find no shortage of material. 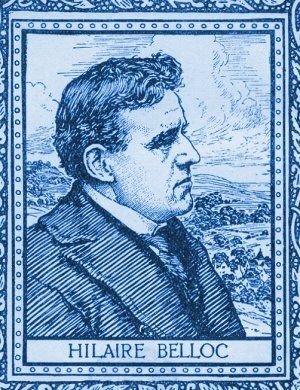 For instance, in late life he spread himself over five of the fifteen volumes of his A Chronicle of Ancient Sunlight in fictionalising his First World War experiences. Anyone looking for a short cut to the same end might glance at The Patriot’s Progress, dating from 1930. This satire of “Private John Bullock” (geddit?) and his “vicissitudes” in the trenches starts to raise a tingle of concern about Williamson’s political leanings. With good reason (and — Malcolm promises — this will lead directly back to that Stiffkey cottage). By the 1930s Williamson had come out as a fascist, a fully dyed-in-the-blackshirt supporter of the Mosleyites. Williamson was at the 1935 Nuremberg Nazifest and bought into Nazi myth of German economic and social progress, of racial unity, of freedom from the bankers. He saw ordinary Germans “breathing, extra oxygen”. Williamson contrasted this with the poverty and unemployment under Baldwin’s “National Government”. Williamson wrote for Action, Mosley’s mouthpiece, arguing for Anglo-German amity. When T.E. Lawrence went over the handlebars of his Brough Superior, he had just been posting a reply to Williamson’s invitation to join in a peace-with-Germany campaign. When internment came in 1940, Williamson was one of the fascists rounded up, to spend a weekend in the cells of Wells Police Station. He was released when he gave his parole to stay quiet. That didn’t stop him feeling that defeat of Germany killed hopes of a revived united Hitlerite Europe. At the end of 1936 Williamson bought Old Hall Farm, and set about dragging it back from the decrepitude of the agricultural depression. The cottage in this sale was one of the buildings he restored. The folk of Stiffkey may then have been rustic (today too many are sharp city weekenders, of course), but they had Williamson’s number. They had good reason to resent his Nazi leanings, and suspect he was a spy. This, let us remember, is barely a mile from the North Sea coast; and was declared a “restricted area” (if the restriction had lasted another few weeks, Malcolm’s alter ego would have needed a permit to get born). And the evidence is still there. The circled double lightning flash of the SS is still there, on the back of the house that directly faces on to the main street, the A149. It was painted on in black pitch and tar, and has proved very durable – it must be about the same age as us. 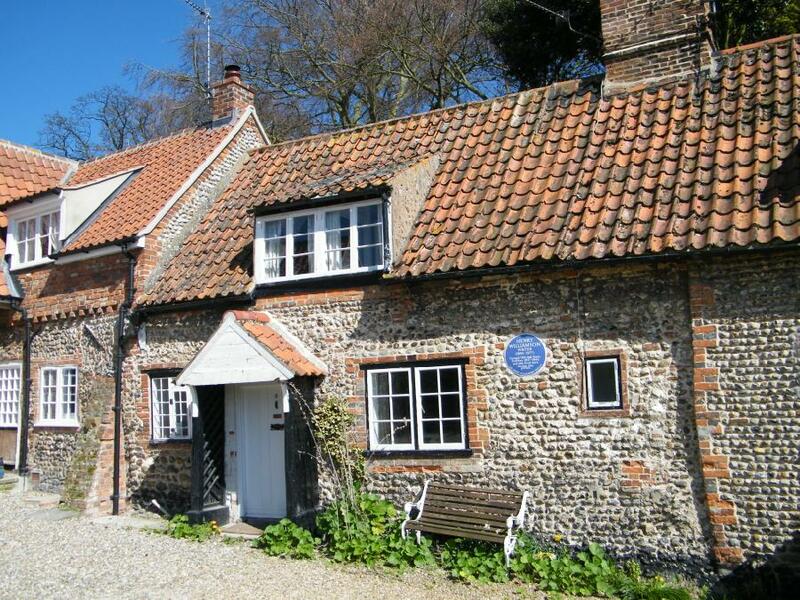 There are many such cottages for sale in North Norfolk now, I suspect at the prospect of 40% capital gains tax on second houses worrying the flush twenty somethings from the City who have priced out the locals. Pity Labour didn’t make it 100% when they could have. The estate agents and banks keep issuing statistics showing that house prices continue to increase – the reality of the prices from the Land Registry tells a different story. Down at least 20% – couldn’t happen to a nicer bunch of blokes. Abbotts of 1 Market Place, Holt, Norfolk, NR25 6BE. An Apple System 7 chime, that is. Today was find-the-back-wall-of-the garage day, under strict instructions from the Lady in Malcolm’s Life. Eventually the far end was gained. Plumbing parts were put in one box, electricals in another, tools and odd bits elsewhere. Paint tins stacked. Garden chemicals shelved. And on one shelf, in the far back corner a 386SX, two Apple LC2s and a 12-inch monitor, plus odd peripherals. Now let’s recall that all these have been lurking, unattended, unloved, gathering grit and dirt, cobwebs and worse, in winter frosts and clammy summers. If age hadn’t got them, corrosion should. The 386SX was as dead as a dodo. To junk. The LC2s, however, vintage late 1992, both bonged on switch on. Now, why did Malcolm have Shakespeare on Hypercard at that distant moment? And can he find SCSI cables to see if the LaCie external hard-drive still functions? And how did we ever think an 80-megabyte (yes: MEGAbyte) was “large”? But credit to the Cupertino cohorts: when they build a product, it seems to last. Unlike the Chinese 386SX vanilla. 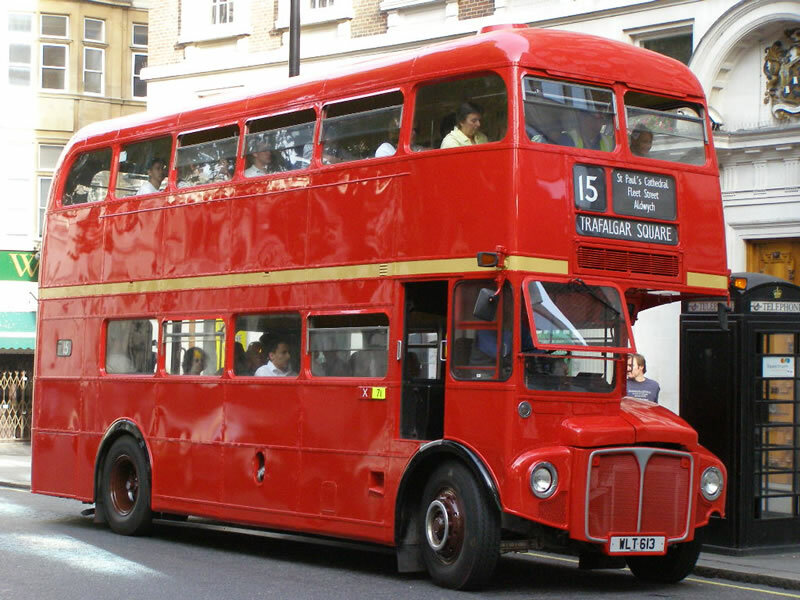 London mayor Boris Johnson’s proud unveiling yesterday of a futuristic new London Routemaster bus, which he dubbed “a slinky, beautiful machine”, has been met by his political opponents with two words: Vanity project. Johnson’s promise of an updated hop-on, hop-off Routemaster to replace the controversial “bendy buses” introduced by his predecessor Ken Livingstone was one of the cornerstones of his 2008 election campaign. And he showed off the new design yesterday with all the excitement of a small boy unwrapping a new model railway engine. He said the updated the new design would give passengers a “greener, light and airy” service when the first buses are introduced at the end of next year, with hundreds more rolled out in time for the 21012 Olympics. 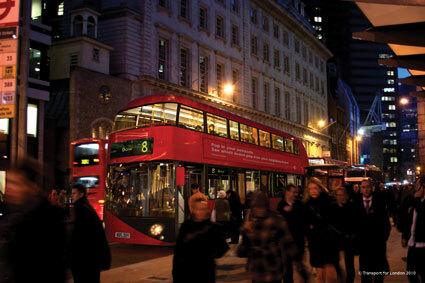 But critics say the first five new Routemasters will have cost £7.8m, which is hardly value for money. They say it’s nothing more than a vanity project that will waste London taxpayers’ money at a time of increasing economic hardship. Malcolm does not expect to be around that long. Filed under Boris Johnson, London, Tories.